Since scientists released a rough draft of the human genome to the public in 2000, the impact of science and technology on medicine has been more salient than ever. The past decade has seen remarkable progress in the field of medicine. Since scientists with the International Human Genome Project released a rough draft of the human genome to the public in 2000, the impact of science and technology on medicine has arguably been more salient than ever. New discoveries and inventions have opened up new possibilities in both the treatment and prevention of human sickness, so far that diseases that were once instant death sentences like cancer and HIV/AIDS, while still potentially fatal, a little less horrifying. Sickness, of course, still exists, and so do the material burdens of medicine. Over the past thirty years, America’s health care system has seen the steady increase in consumer costs that have marginalized consumers and burdened states; the U.S. Census Bureau reported that a record 50.7 million residents (which includes 9.9 million non-citizens) or 16.7% of the population were uninsured in 2009. With each new discovery, the possibility of saving citizens million of dollars in treatment–or ensuring preventative measures against formerly rampant illnesses–become more apparent. HIV/AIDS kills around 1.8 million people a year, and ranks as the third leading cause of death in low-income countries. But a recent study in journal Blood presents a potentially new way to combat the disease: instead of killing the virus, make the body resistant to it. When a person is infected, the body’s innate immune system provides an immediate but flawed defense; HIV takes its membrane or “skin” from the cell that it infects. Researchers led by scientists at Imperial College London and Johns Hopkins University exposed HIV by removing cholesterol from this cellular wall, producing a large hole in the virus’s membrane and making it permeable, which in turn led to a stronger adaptive response, orchestrated by immune cells. While researchers have lengths to go before they can even think to announce a cure for HIV, this breakthrough could drastically reduce the amount of resources devoted to treating and combating the disease and provide insight into fighting similarly complex diseases in the future. Amyotrophic lateral sclerosis, often referred to as ALS or Lou Gherig’s disease, is a fatal neurodegenerative disease that paralyzes its victims. For years, the underlying disease process has long eluded scientists and prevented development of effective therapies. But a new Northwestern Medicine study for the first time has identified a common cause of all forms of ALS. The basis of the disorder is a broken down protein recycling system in the neurons of the spinal cord and the brain. Optimal functioning of the neurons relies on efficient recycling of the protein building blocks in the cells. In ALS, that recycling system is broken. The cell can’t repair or maintain itself and becomes severely damaged. The discovery by Northwestern University Feinberg School of Medicine researchers, published in the journal Nature, could herald the end of one of the biggest medical mysteries of the 20th century. Recently, scientists developed a method of “leapfrogging” cells, or transmuting existing cells into a totally new form. Fully mature liver cells from laboratory mice have been transformed directly into functional neurons by researchers at the Stanford University School of Medicine. It is the first time that cells have been shown to “leapfrog” from one fundamentally different tissue type to another. These liver cells unambiguously cross tissue-type boundaries to become fully functional neural cells. Such an advance could prove essential in generating essential cells for an ailing patient–or transmuting potentially dangerous or cancerous agents into benign cells. Probably no area of research has fired the public imagination and ignited the fires of public controversy as much as stem cell research. But the clinical advances–even when they have come from pilot studies–have been tantalizing. In 2009, European researchers genetically manipulated bone marrow cells taken from two 7-year-old boys and then transplanted the altered cells back into the boys and apparently arrested the progress of a fatal brain disease. Now, scientists can make embryonic-like stem cells directly from skin cells, which makes it possible to model a multitude of human diseases. 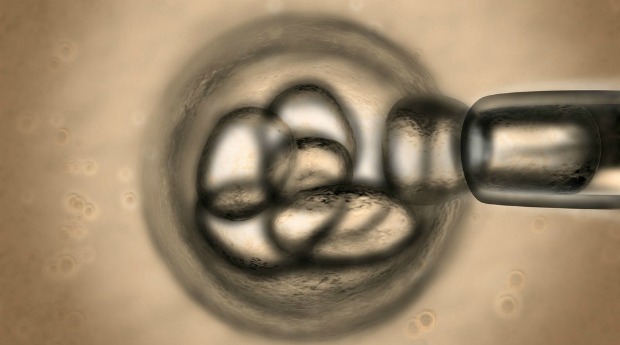 New drugs based on stem cells are being developed, and the first human clinical trial based on products of human embryonic stem cells is expected in 2011. With the cheap and efficient means of manipulating stem cells within reach (regardless of the legal barriers), new options are opening up for researchers looking to generate new tissue in a lab setting, which could radically change the way America’s organ donor system functions. One of the unseen burdens of modern health care is the sheer wealth of data. Charts, blood cultures, past history–all of this information is increasingly essential in diagnosing and preventing deadly diseases, and modern medical institutions are struggling to find ways to manage and efficiently utilize available data. Doctors say the internet and new information technology–and yes, even the iPad–has actually changed the way they practice medicine for the better. Gone are the days wasted in a medical library, looking for topics, writing down the references, going to the stacks and pulling the volumes of journals. Now, medical records, case files, and volumes upon volumes of crucial medical information and references are available at the swipe of a finger. Not only is this essential in solving complex medical problems, but also in terms of making patients safer by cataloging blood types, recoding the administration of vaccines, tracking medical histories, and more. While cellular “leapfrogging” and stem cell manipulation are remarkable advances, Dr. J. Craig Venter, co-mapper of the human genome, took the process one step forward by creating life in the lab and developing totally new synthetic cells in 2010. Generated from a painstaking process of stitching together the chemicals that compose DNA, Venter synthesized the entire genome of a bacterium, which was inserted into a cell and was able to replicate. Venter hopes his findings will be the first of a long line of lab-made creatures in synthetic biology. Synthetic cells aren’t a purely medical miracle: by mixing and matching genetic material into viable combinations, Venter is already generating organisms that may serve as new types of biofuel. But health-related applications are apparent. Scientists could speed up flu vaccine production keeping artificial versions of different viral strains of influenza, for example, or generate brand new strains of diseases to experiment on if the original host is inaccessible or spoiled. For researchers, the experimental possibilities are endless. In late 2007 the surgeons at the Cleveland Clinic began removing kidneys through a single incision in the patient’s navel. Using tiny metal hands carefully manipulating sutures deep inside a patients body seems like something pulled from science fiction, but that robotic surgery is occurring daily in a growing number of centers across the country. The greatest benefit of tiny openings into the body rather than large incisions made by traditional surgery, may–believers say–be shorter and less painful recovery time. Doctors have also used robotic surgery to improve the accuracy of procedures, especially in cancer cases. Robotic surgery increased the ability of cancer surgeons to get clean margins as well due to the magnification of the structures. Robotic tools also offer the potential for surgeons to operate on patients remotely, which would reduce the costs of travel and other barriers towards receiving specialized care. While critics say the cost of the robotic hardware may outweigh the benefit, the potential for smoother, more efficient, and less invasive surgeries bodes well both for patient safety and overall medical costs. Source: Interfysio, a healthcare staffing agency that specializes in helping individuals find occupational therapist jobs in the New York City area.